Although there are plenty of laptop models the PC market is witnessing in the present day, desktops have not disappeared. Coming at affordable prices, they are the first option for any business to fill up the gap when multiple computers are required. In most of the small or medium sized companies, a common sight is to see the cubicle occupied with a desktop to serve its master. As an inherent characteristic, the desktops do complain with a range of repair issues and other troubles, which need to be addressed in time or, it could result in loss of time and revenue. VRS Technologies is an organization you can approach for the desktop repair services so we can help you out. 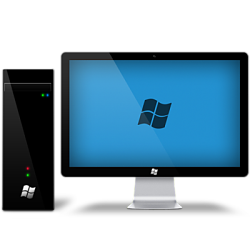 We are a master provider of desktop services in Dubai where you can seek solutions for the desktop repair issues. Whenever the desktop is facing a troubleshooting issue, it is essential to make the right diagnosis to arrive at the appropriate troubleshooting solution. With the help of proper diagnostic tools, VRS Technologies tracks the exact reason behind the repair and acts accordingly to lessen the turnaround time. Virus and malware might attack the system any time, even without our knowledge. Experts do fall into the net unknowingly. Pop-up windows, spam mails etc. are sent to take control of the computer and its most crucial business data. Immediate resolution of the problem would be to clean the system free of the virus or malware holding your system back from working normally. When the day goes busy and all is running smoothly, there occurs a troubleshooting problem like the screen goes blank. Or some applications may be running and are difficult to close or the PC may work slowly stopping your work progress. The problem may be of any magnitude or of any complexity or with a single desktop or a bulk. VRS Technologies might be the right destination for you offering a big pool of desktop repair services including hard drive replacement, memory upgrade, shutting off repairs, system tune up etc. Get rid of the hurdles caused by the desktop concerns. Contact VRS Technologies at +971-55-5182748 and let us know what is concerning your desktop so we might move it out of the way. Refer to our website www.vrscomputers.com to learn more about us.